By Lee Jia Xin, The Straits Times, 23 Apr 2012. Shoppers may need to pay for plastic bags in the future, if a proposal being studied is adopted. The Singapore Environment Council (SEC) is studying ways to cut down on the excessive use of plastic bags here. 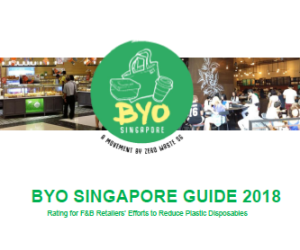 One of the options being considered is for supermarkets to start charging for plastic bags daily or on alternate days, The Straits Times has learnt. The proposal involves provision shops too, and may also include food outlets and hawker stalls. The study, which began this month, is expected to be concluded by June. 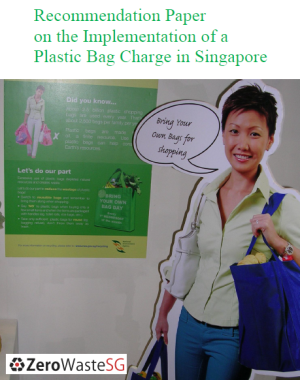 The findings are expected to be used to formulate a White Paper on the use of plastic bags in Singapore. The SEC is a non-government organisation that facilitates and coordinates environmental causes here. The Straits Times understands that a majority of the supermarkets here are not opposed to the idea of charging for plastic bags. But they would like to see the authorities put it into legislation before making such a move. So they want supermarket aunties and uncles to pay for plastic bags! Really? How will this help the environment? More Singaporeans are injured by air pollution from Indonesia than all the plastic bags we use put together! Does the money from the plastic bag tax stop Indonesia’s air pollution? Does it go straight into the pockets of retailers or bag makers? This is business! Not a charity that helps the environment. Shame on the Wealthy Corporate Cannibals who want to eat the wallets of aunties and uncles who shop at NTUC! The money taken out of peoples’ pockets does not clean up air pollution. It does not stop people from littering. THE WHOLE PLASTIC BAG TAX IS A CORPORATION MONEY GRAB. 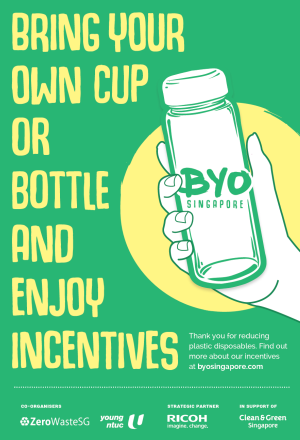 SHAME ON THE SINGAPORE ENVIRONMENT COUNCIL. THEY SHOULD BE FIRED. My family and I moved to Singapore one year ago and the over-use of plastic bags struck us immediately! Having lived in Belgium (where you pay for your plastic bags or you use the thick re-usable bags) and in Africa (where people reuse and reuse EVERY bag 3-4 times before they throw it), we were absolutely shocked. Charging for plastic bags has changed the consumer behavior completely in Europe, in less than 10 years, why would that not work in Singapore? With the existing trashing system in the apartment blocks in Singapore, I guess some use of plastic bags is necessary in this hot and humid city. You don’t want pests to invade such a densely populated city. And as you show in your article, the thin plastics remain the best ones in that case. 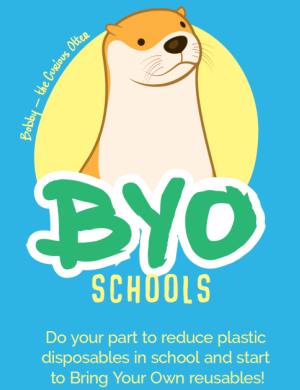 But why pack only one item per bag, or use three bags for a liter of milk, or pack a toothbrush in a small bag which then goes in the large bag, or put a box of mints in a bag while you are carrying your handbag? The worst I experienced not long ago is that I invested about an hour making sure all my goods for home delivery were packed in boxes (Giant). By the time the goods arrived at home, they had all been repacked in huge plastic bags that cannot even be used at home for garbage!! 2) we have to dare to give our excessive bags back and educate the packers at the grocery store. 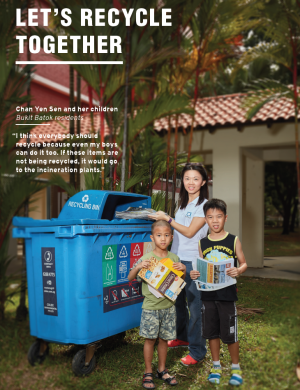 Very often on the streets/in the parks of Singapore you see plastic bags that were not re-used. 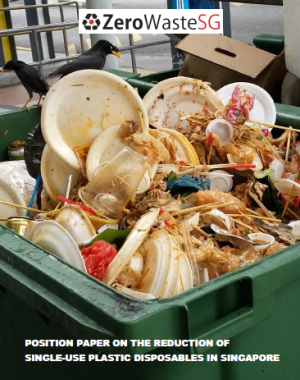 So stop claiming that all the 400 billion plastic bags were re-used in Singapore!